Our 'Luxury Escape' tour is for travelers who want a comfortable experience with fancy accommodation and a journey that isn't too rushed. This program covers three valleys in Ladakh and is a popular choice for Honeymoons and older travellers. 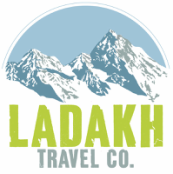 Once you arrive to Leh, you will be greeted by our company representative and transferred directly to your Leh based accommodation. After check-in spend a full day taking rest and adapting to the high altitude of Ladakh before dinner and overnight stay. Enjoy a leisurely day as you make your way slowly through the Indus Valley. Follow the river to Shey Palace which is commonly known as the summer retreat place for historical Kings and Queens of Ladakh. 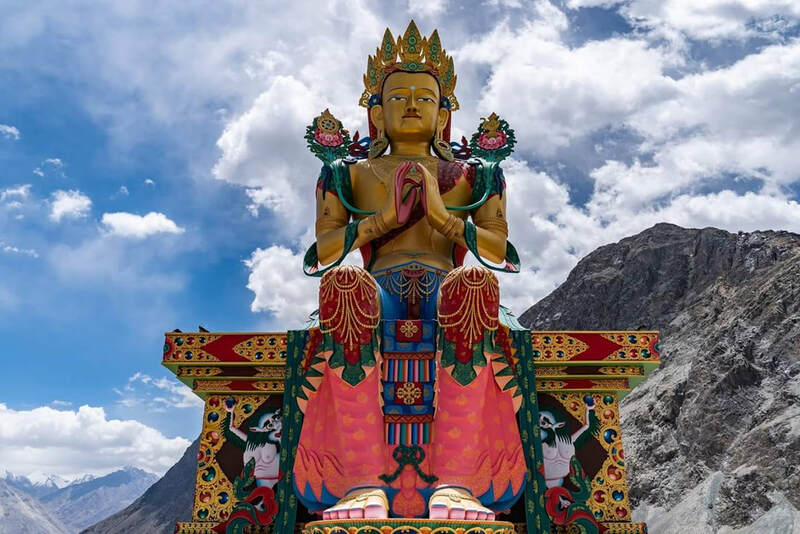 Peruse the monument and enjoy the great views before making your way to the famous Thiksey Monastery which bears a striking resemblance to the ‘Potala Palace’ in Lhasa, Tibet. Explore the many rooms, appreciate the colourful paintings and art and make your way to our private luxury camp site where you can check in and enjoy being spoiled with the in-house fine dining and the many activities on offer such as swimming in the Indus River, bird watching, reading a book in the common library, or even a late night campfire. Fall asleep with nature and an abundance of stars overhead. Enjoy a delicious buffet breakfast with home-made jams and enjoy a scenic drive to the west of Leh with a first stop at the mysterious Magnetic Hill where you can experience reverse gravity in action as your vehicle appears to move without power. Continue on your safari journey and arrive at the Sangham lookout where you will view the colourful intersection of the Zangskar and Indus rivers before driving through the ‘pretty-as-a-postcard’ Basgo village. Arrive at your overnight destination of Ulley Tokpo where you can enjoy a light afternoon walk around the many orchards in our prearranged luxury eco resort. Enjoy buffet breakfast in the resort and make your way to the Alchi monastery where you marvel at the unique Kashmiri influenced architecture and enjoy some traditional home-cooked Ladakhi snacks in the ‘Alchi Kitchen’ restaurant. Next, continue driving and take a slight detour to the Likir gompa which is famous for its tall Buddha statue. Return to Leh around lunch time, and enjoy free time to roam around the market, or shop for souvenirs such as pashmina products, jewellery, dried fruits or Ladakhi mementoes. In the late afternoon, our driver will transfer you to the 16th century built Leh Palace where you can watch the sun set over the town before returning to our luxury hotel in time for dinner and overnight stay. Depart Leh after breakfast and head towards ‘Nubra Valley’ which is popularly known as the ‘valley of flowers’ because of the variety of wildflowers and medicinal plants grown all over the local area. Situated in the northern part of Ladakh (between the Karakoram and Ladakh Himalayan ranges), the journey between Leh and Nubra takes you over ‘Khardong-la-pass’ which is the world’s highest motor-able road (located 18390 feet above sea level)! The journey to Nubra is a half-day drive of breathtaking landscapes and spectacular scenery and the experience is sure to be once-in-a-lifetime and truly unforgettable. On arrival in the Valley, you will visit the Disket monastery where you can see the 100-foot tall Buddha statue before making your way to our prearranged resort for overnight stay. Depart the resort as your leisure and drive through Sumoor village with an optional visit to the Samstanling monastery before checking in to our beautifully decorated eco resort in Panamik. The rest of the day is left free for you to relax. Walk or take one of the free mountain bikes and explore the village as per your interest. Enjoy a spa treatment in the in-house spa or just find a place to appreciate the many mountain and garden views before dinner. Overnight stay in luxury resort. After a leisurely breakfast, you can make your way to the local ‘hot springs’ which are known for their medicinal qualities and naturally hot water. If you like, enjoy a hot bath or just a splash on the face before making your way to the small and mostly unknown ‘Entsa monastery’. Choose to walk or drive down the hill where you will be treated to a visit in our very own traditional Ladakhi home, where you can enjoy lunch with our family - using only home grown- organic vegetables and produce. (Our mother makes her own oil, butter, milk, yoghurt, butter and many grains - as well as a variety of fruits and vegetables) so you are welcome to walk around the estate whilst learning about the traditional life of Nubra Valley people. Return to the retreat as per your leisure. Return to Leh with one last safari drive over Khardong La pass. On your arrival to Leh, proceed to the magnificent Japanese built Shanti Stupa where you can watch the sun set and the lights emerge over Leh town. Enjoy some last minute souvenir shopping before returning to our prearranged hotel for overnight stay. Our driver will collect you from your accommodation and transfer you directly to the airport in time for your early morning flight.